I made this invitation for my soon-to-be daughter-in-law. 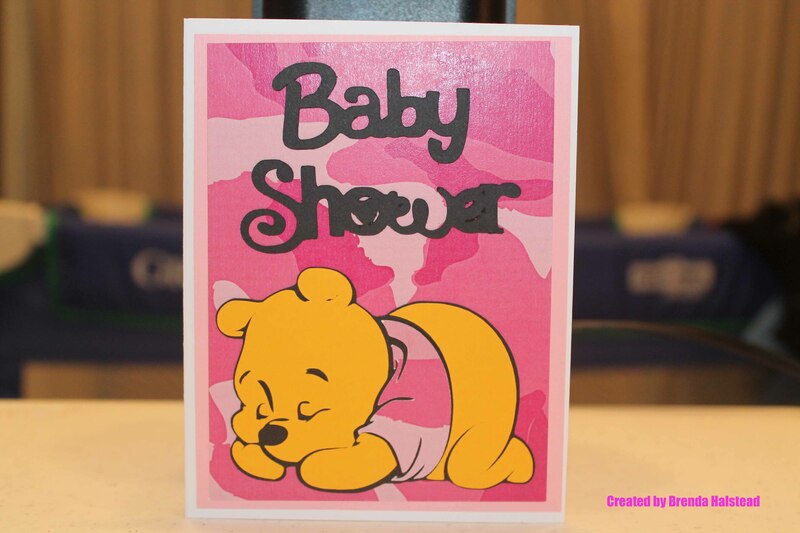 She wanted pink camouflage and Winnie The Pooh, so here is what I came up with. 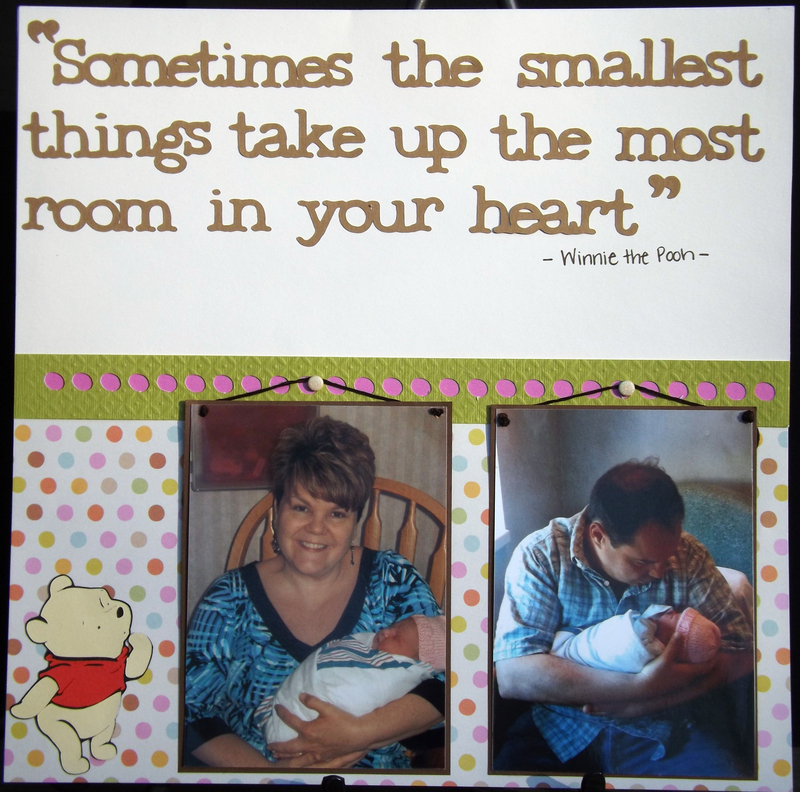 The base of the invitation is white cardstock, and it is an A2 size card (4 1/4″ x 5 1/2″). 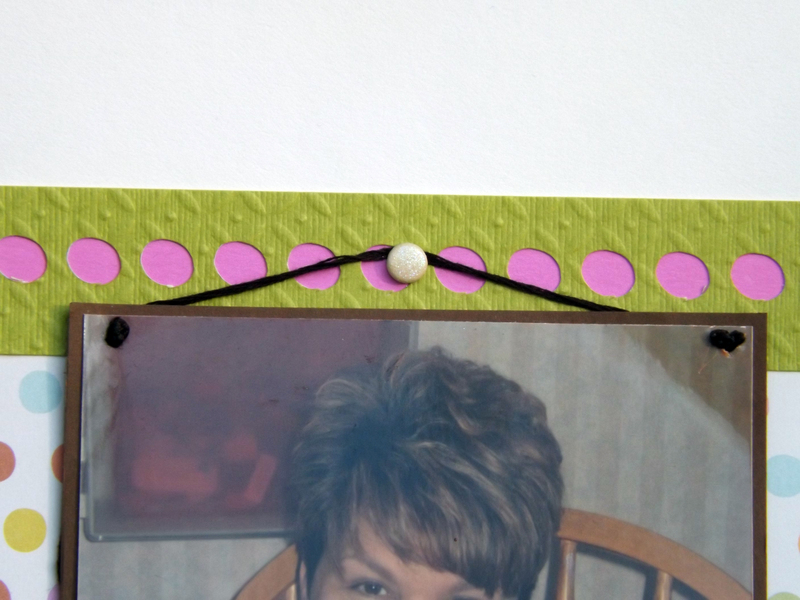 I then added a light pink layer that measures 4″ x 5 1/4″. The next layer is the pink camouflage cardstock that measures 3 3/4″ x 5″. 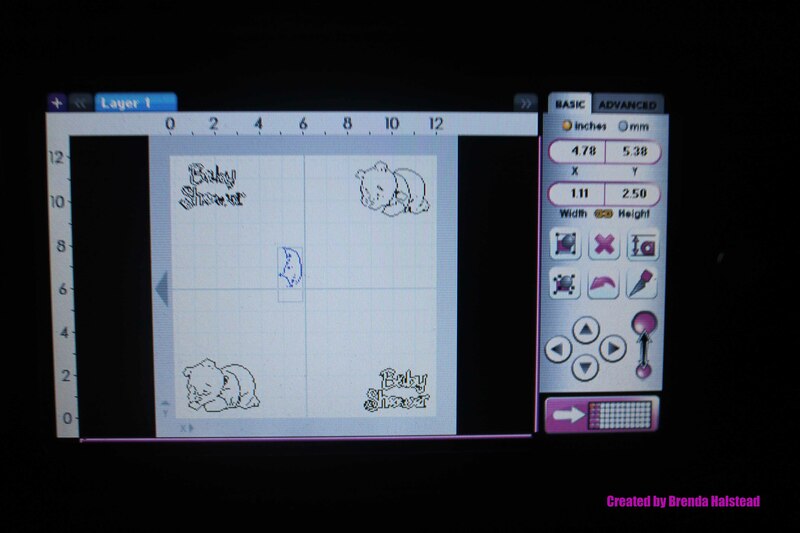 Baby Shower is from the New Arrival Cricut cartridge.It was cut at 2″ using the Shadow feature. (When you see the screenshot of my Gypsy, please disregard the Baby Shower in the upper left corner of the screen. When I cut this, some of the letters were so thin, they tore. That is why I used the Shadow feature for this.) 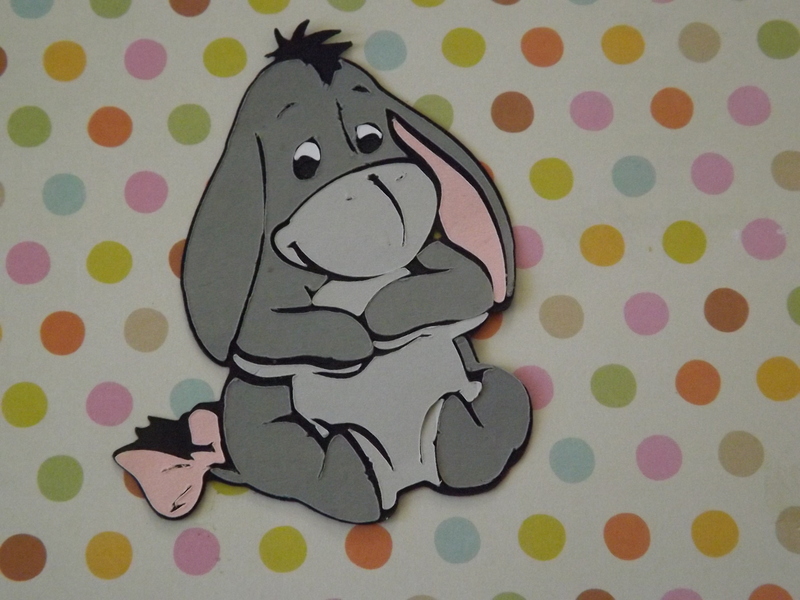 I cut Winnie The Pooh from the Pooh Font Set Cricut cartridge, and he was cut at 2 1/2″. 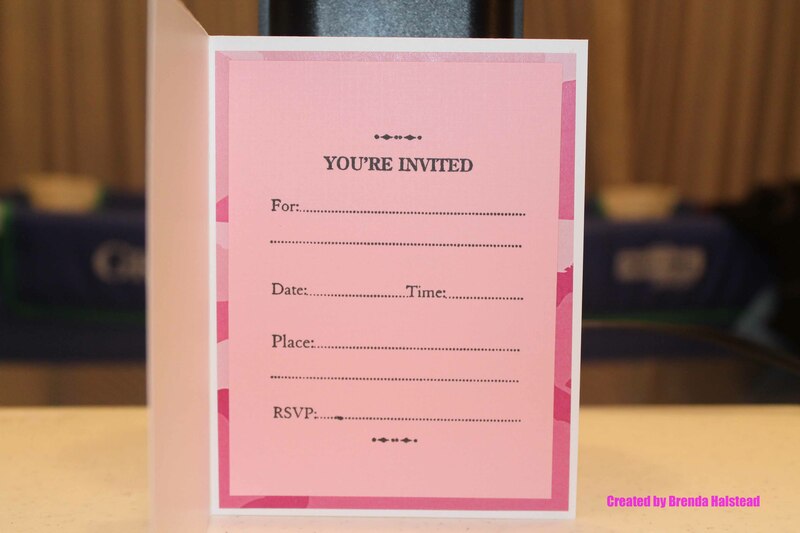 For the inside of the invitation, the camouflage layer is 4″ x 5 1/4″ and the light pink layer is 3 3/4″ x 5″. I bought the stamp at Michael’s and used the Close To My Heart Archival Black Ink Pad for the stamping. 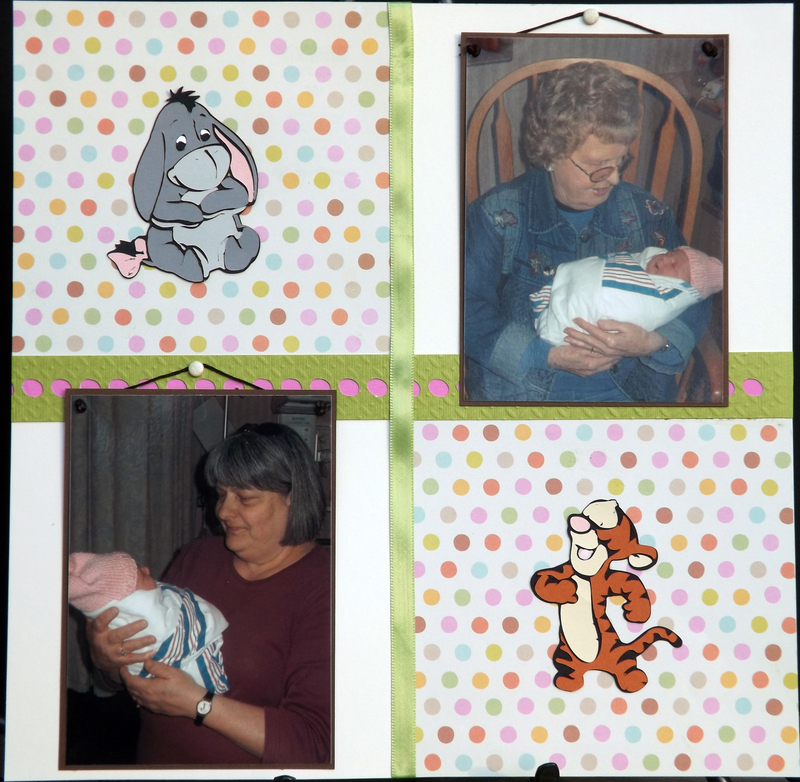 All solid cardstock is Recollections and I bought the pink camouflage paper from Stampin’ Station. Here is the screenshot of my Gypsy. My future daughter-in-law and her Mom loved the way the invitations turned out. I’m thrilled they liked it.